summer is right around the corner meaning it's time to start showing those legs off! i don't know about you, but i surely don't get to see much daylight during the week. the only time i get sun exposure is on the weekend, but the warm weather hasn't been consistent here; i haven't been able to build up much color. so in the meantime, i've been relying on the body tinted moisturizer i made from my everyday wear makeup products: sunscreen, bronzer/loose powder, shimmer (optional). i could easily go out and buy a body tinted moisturizer, but most of them don't match my skin tone and ends up making me look orange. plus...they don't come in a large range of colors (they usually only come in 2 colors: light or dark) so it's difficult to find a color that will truly match my skin tone. so i thought by making my own i could get that perfect "fake" tan and no one will know. what's best about making your own is that you can customize the color by mixing colors to match your skin for that natural looking tan. 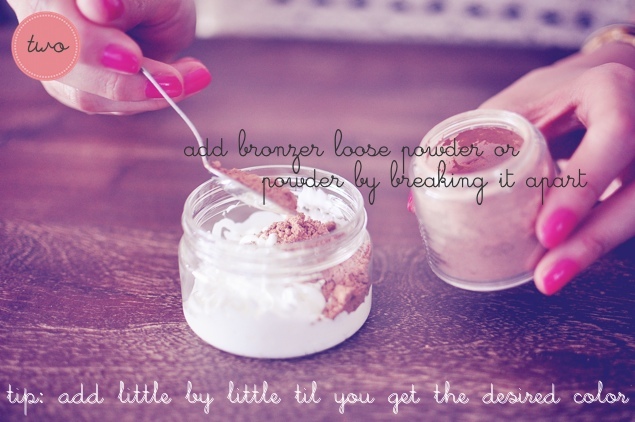 you can use a bronzer or use a powder that is two to three shades darker than what you normally wear on your face. i used a loose powder (2 shades darker than my normal powder) since it's easier to mix. 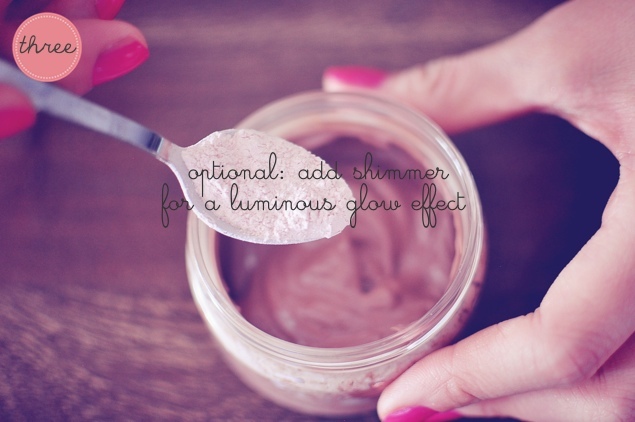 i even added some shimmer to get that glowing tan look! this is great for those of you that don't get enough time to soak up the sun!! i'm off to vegas tomorrow so i'll definitely be taking this with me! if you haven't entered the line & dot giveaway it's not too late!! My pasty legs need some of your bronzer pronto. Great idea Jin! best diy ever! so amazing!!!! What a great idea! 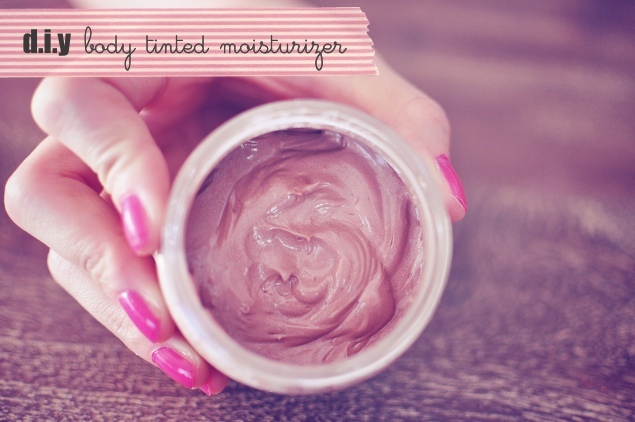 I had no idea that you could make your own tinted moisturizer. You are teaching me things. :) Have fun in Vegas! Hope you get to partake in yummy food and some retail therapy. Vegas is becoming quite the mecca. This is absolutely brilliant! Thank you for sharing this tip. 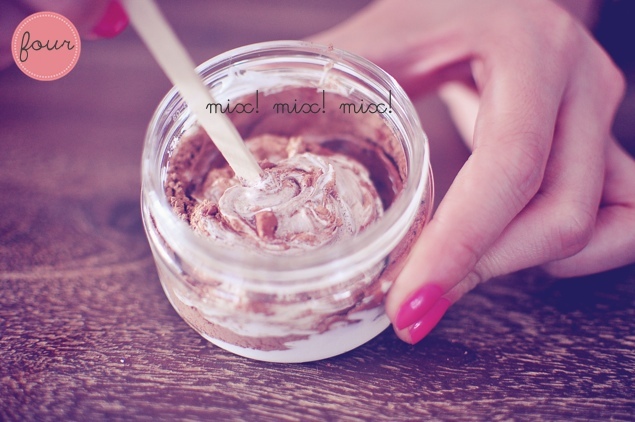 I had no idea you could make your own tinted moisturizer. Wow.. what a great tutorial. Thanks for sharing.